In a first sign of challenge to the leadership of TDP chief N Chandrababu Naidu, a senior party legislator has asked him to step down from the post and hand over the mantle to popular actor and late NTR’s son N Balakrishna. In a novel initiative to improve transparency, Andhra Pradesh Legislative Assembly is planning to introduce ‘e-petition’ system to enable common public to send across their grievances for necessary follow-up action. The Andhra Pradesh police yesterday filed a charge sheet in the case of bomb blast that ripped through a popular eatery in the city in August 2007, killing 33 people and injuring several others. The Maharashtra Tourism Development Corporation (MTDC) has begun to levy fines on tourists who leave behind plastic litter and plastic cans at picnic spots, beaches and resorts managed by it. BSP supremo Mayawati has put to rest speculations of her abandoning ‘sarva samaj’ rhetoric and returning to her core Bahujan Samaj politics, at least for the time being. 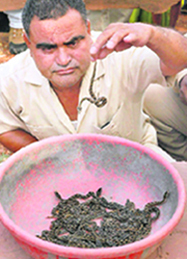 The unusual politician in Lalu Yadav makes him do unusual things to remain in news. There is nothing uncommon about hosting a feast to celebrate victory. The safe rescue of Anju, a four-year-old girl who fell in a 200-feet borewell here late last evening, after a 19-hour ordeal was a perfect Father’s Day gift for Jagdish. The state BJP has come out with a report on the party’s debacle in the Lok Sabha elections and has surprisingly blamed the ruling Congress for its rout in the state. A 22-year-old student, who was in a comatose state for the past nine months, after his senior attacked him when he resisted the attempts to rag him at an engineering college at Sriperumbudur, near the city, died today. The 18-year-old daughter of forest brigand Veerappan, killed in an encounter by the police, yesterday appealed to the Prime Minister to take steps for the release of her mother detained in Mysore prison for the last seven months. Turning the tables on Tamil Nadu Chief Minister M Karunanidhi, AIADMK supremo J Jayalalithaa yesterday said the CM, who rushed to Delhi seeking plum portfolios for his family members, should show the same urge in retrieving Katchatheevu, an island ceded to Sri Lanka in 1974. With insurgents of various outfits from different northeastern states holding their fort in a dense jungle and rugged terrain of the Kachin province in Myanmar, efforts to reconstruct the historic Stilwell Road from the World War II days is staring at a natural death. The Assam health department has launched two novel babycare projects - first time in the country- in order to improve the standards of maternity and bring down the high infant mortality rate in the state. Setting up of specialised Army units to deal with urban terrorism has been proposed after an assessment of the lessons learnt during the operations against terrorists who struck in Mumbai on November 26. Congress leaders from Punjab are up in arms against PTC, a private news channel, perceived to be tilted towards the SAD-BJP government. Policemen sitting in police stations across the country will be connected via a “cyber-highway” to improve connectivity and increase crime fighting abilities. Despite meltdown, Indian art on a roll! Works by Indian artists are having a wonderful run at recent auctions, including Christie’s and Sotheby’s by successfully appealing to buyers despite the downturn and sending a very positive and encouraging message to the market. Incidentally, Balakrishna (49) is Naidu’s brother-in-law and is being seen by some party leaders as a new hope for the TDP, which had received a severe drubbing in the recent elections. Raising a banner of revolt against Naidu, the party MLA from Nellore district N Prasannakumar Reddy pitched for change of guard as the present leadership had “failed” in its bid to capture power in the recent Assembly polls. The rebel legislator, who lashed out at “crony culture” in the party and its tactical blunders, said Naidu could continue as the Opposition Leader in the Assembly while the organisational responsibilities could be handed over to Balakrishna. The MLA caused a flutter in the party by shooting off two letters to Naidu, questioning his style of functioning and pointing out “lapses” in handling several issues including the recent election of Assembly Speaker. Accusing Naidu of being surrounded by a “bunch of jokers and riff-raff elements” whose wrong advices were proving costly for the party, the former minister threatened to expose them. “I am writing open letters to Naidu in the interests of the party as they will help in rectification of lapses,” Reddy said. Meanwhile, the party announced last night the suspension of Reddy for indulging in anti-party activities. Naidu took this decision after consulting the party’s Polit Bureau and leaders in Nellore district. The TDP leadership saw clear indications of the rebel legislator gravitating towards the ruling Congress and moved in swiftly to suspend him. Incidentally, Prasannakumar Reddy is the son of late N Srinivasulu Reddy, one of the founder members of the TDP along with NTR. He later differed with NTR and defected to the Congress. “This system allows people to send petitions directly to the Legislature through email. They can bring any problem pertaining to their respective constituencies to our notice. They can be redressed through appropriate mechanism,” Deputy Speaker N Manohar said. Speaker of the previous Assembly KR Suresh Reddy had mooted the proposal. 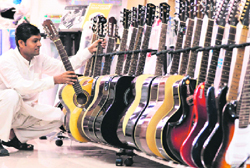 “We plan to make it a reality now,” said Manohar. The most effective way for the aggrieved persons to interact with the government and legislature quickly would be e-petition system, he said, adding that a dedicated information technology department would be set up for the legislature. “Once functional, e-petition will enable the common man to dash of an email directly to the Assembly Speaker. The mail will be forwarded to the department concerned with a request to dispose it of without any delay,” he stated. The Petitions Committee, headed by the Deputy Speaker, would seek Action Taken Reports (ATRs) from departments and inform petitioners about the follow-up action. Efforts were also on to link the state Assembly with the Parliament via Internet, the Deputy Speaker said. First-time legislators would be encouraged to make optimum use of the Wi-fi facility available in the Assembly and official website improved with user-friendly features. “All the legislators would be made to attend refresher course with special emphasis on using the IT facility,” he said. The state’s anti-terrorist force, OCTOPUS (Organisation to Counter Terrorist Operations), filed the 1,125-page charge sheet in a local court against seven accused, all non-locals. Of them, four are presently in the judicial custody while three others are at large. Near-simultaneous bomb explosions occurred at “Gokul Chat Bhandar” and Lumbini Park on August 25, 2007, resulting in death of over 50 people, and an unexploded bomb was recovered at a crowded place in Dilsukhnagar area the same day. The police had already filed charge sheets with regard to Lumbini Park and Dilsukhnagar cases, naming the same persons as the accused. The latest charge sheet has presented 286 people as witnesses. Those named in the charge sheet include Mohd Akbar Ismail Chowdhary alias Sayeed, Anique Shafeeq Sayeed alias Anique, Riyaz Bhatkal alias Roshan Khan, Iqbal Bhatkal alias Mohammed Bhai, Farooq Sharfuddin Tarkash alias Abdullah, Mohd Sadiq Ansar Ahmed Shaik alias Yaseer and Amir Reza Khan alias Muttaki. The mastermind behind the blasts, Riyaz Bhatkal, is still at large. 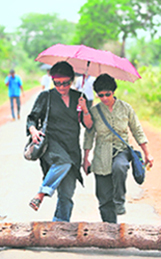 Tourists who mess up the area would be fined between Rs 500 and Rs 1,000 depending on the amount of trash they leave behind, MTDC officials said. According to an MTDC spokesperson, the meadure had been taken as part of a deal to promote eco-friendly tourism in the state. “Some of the areas where the MTDC has its resorts are considered ecologically fragile. We have banned plastic in Matheran, Mahableshwar, Ganpatipule, Malshej Ghat and in the beaches of Sindhudurg,” he said. It has asked tourists to use paper bags sold by vendors in the neighbourhood. The officials said the measures were a part of a larger revamping of the resorts as eco-friendly spots. Other restrictions being planned include a crackdown on noise pollution by tourists. Playing of loud music and all-night partying are also being banned at the resorts. In her first public appearance since the Lok Sabha debacle, Chief Minister Mayawati on Friday reiterated her sarv samaj formula while addressing “Sharmo Karo” rallies in Lucknow and Ghaziabad. To check the response of people to her district-level rallies, she also made aerial survey of Azamgarh and Sultanpur and returned to Lucknow without landing, informed party sources. According to her, the upper caste and minorities had affiliated themselves with the BSP and had been duly given tickets in large numbers. “The BSP always considers as its part the upper castes and the religious minorities, especially the Muslim samaj which form a sizeable section of the state’s population,” noted Mayawati. The BSP supremo didn’t mince words to blame the entire opposition of ganging up to prevent her - a Dalit ki beti - from becoming the Prime Minister. She restated her party’s resolve to create awareness against such casteist forces through public meetings and cadre camps and sooner than later establish a truly equalitarian society after eradicating casteism. Addressing the two public rallies, she went to great extent to clarify that they day chosen (June 19) to launch the awareness campaign had nothing to do with the “Congress Yuvraj’s birthday”. According to her, the only reason for selecting the date was that she had became the Chief Minister of Uttar Pradesh for the first time on June 3, 1995 and had won the confidence vote in the Vidhan Sabha on June 19. “Therefore, this day is important and historic for BSP and has nothing to do with the birthday of the Congress Yuvraj who in any case was celebrating his birthday in a foreign country”, she quipped. Earlier, in a meeting on June 13, Mayawati had addressed members of the party’s state, district, Lok Sabha-level units, Bhaichara Committee office bearers, including all MPs, MLAs and ministers where she had announced the decision of launching the countrywide campaign from June 19. Incidentally, the press release issued by the party that day gave a different rationale for selection of June 19 for the launch. Bihar Chief Minister Nitish Kumar and his party JD(U) did the same by hosting a community lunch for the party workers and the newly elected MPs recently to celebrate their victory in the recent Lok Sabha polls. The feast, which is generally referred in Bihar as “bhoj”, attracted a lot of media attention. Not to be left behind by his bete-noire, RJD chief Lalu Yadav also announced to host a bigger “bhoj” for his party workers, so what if the party had suffered a humiliating defeat at the hustings. And the unusual “bhoj” was organised today at the official residence of Rabri Devi, who also happens to be the Leader of Opposition in Bihar. Lalu Yadav had personally supervised the preparations of this feast right from deciding the menu to cooking and serving the meal for thousands of party workers. Before being served the meal, the party workers were served the new ideas of their leader, Lalu Yadav, to take on their opponents in the coming Assembly election. Addressing the workers, the RJD chief said that it was Lalu versus all in the Lok Sabha elections and the coming Assembly elections in 2010 would also be fought on the same lines. Asking his partymen to shun their differences and remain united for the coming battle, Lalu said that he would give a befitting reply to Nitish Kumar and the communal BJP by exposing their hollow promises in days to come. Lalu also announced to pitch his tent in Bihar and tour the villages across the state for this purpose. The villagers, who were flocking to the spot since the mishap, heaved a sigh of relief as the rescue team pulled Anju out after digging a tunnel parallel to the borewell. After the rescuers reached the same depth she was stuck on, Anju was transferred to the rescue tunnel by digging a hole between the tunnel and the borewell. She was brought out in an unconscious state around 12.30 pm and was quickly shifted to JK Lone Hospital in Jaipur. Talking to the mediaprsons, Dr JP Verma, who attended on her in the ambulance, said she had suffered a minor injury on her head and her breathing is abnormal, probably due to the psychological trauma that she underwent in the past 19 hours. “Her body temperature and heart beat are above normal. We expect her condition to improve in the next 24 hours,” he added. Earlier, the administration pressed into service 5 JCB machines and two earthmovers while the villagers chipped in with their tractors in the rescue effort. Anju was given biscuits and water, besides putting an oxygen pipe to help her breathe easy inside the borewell. Her position was monitored through a CCTV even as the rescue operation was on. Members of emergency response team, officials of medical and the health department, the police and other government departments concerned were camping in the area since Saturday. Anju had fallen into the borewell while she was playing along with her cousin near one of her relative’s house around 5 pm yesterday. Villagers told that while playing her cousin jumped over the open borewell, but when Anju tried to imitate her cousin she fell into it. The borewell was dug up by her kin. The report, which was compiled by the four general secretaries of the state unit, gave a clean chit to the BJP leaders. Political observers have dubbed the report as a mere eyewash as according to them the BJP leaders were fighting among themselves and facing charges of corruption from their rivals throughout the Lok Sabha poll campaign in the state. While hinting towards the bureaucratic reshuffle conducted by the state government prior to the general elections, state BJP chief Om Prakash Mathur alleged that the administrative machinery interfered in the poll process in a few constituencies. He claimed that there was no resentment against the party candidates. “The view that wrong candidate selection cost us the election is totally wrong.” He also refuted the charges of corruption levelled by the Congress against the previous BJP regime. However, the BJP admitted that the Congress managed to cash in on the National Rural Employment Guarantee Scheme. He said the BSP’s failure to keep its votebank intact also worked to the advantage of the Congress in the state, which gave it an edge over the BJP. Mathur said the report admitted to “lethargy among party workers” as well as indiscipline within the party, which will be followed up with necessary action. Earlier, Mathur had revealed that he had tendered his resignation from the state chief’s post soon after the party’s humiliating defeat in the LS poll in Rajasthan. Apparently targeting senior BJP leaders like former CM Vasundhara Raje Scindia, he had stated that other senior party leaders, who played a key role in the elections, should also quit their posts. A section of party leaders had also demanded that Raje should quit the post of the Leader of Opposition. Rajkumar, a resident of Cumbum, was second-year student of Electronics and Communication of Rajalakshmi Engineering College, Sriperumbudur. He was attacked with a wooden log by a senior student, Parthiban, on September 5, 2008. A murder case has been registered against Parthiban. Rajkumar, who suffered bleeding injuries, fainted and was taken to a nearby hospital. He slipped into a comatose state, since he had suffered serious head injuries. Rajkumar breathed his last this morning. One of his relatives said, “Since the college took care of his medical expenses, we withdrew the police complaint given against the college. However, a case was registered against Parthiban, who attacked Rajkumar. He was arrested and later managed to obtain a bail. Now, he is said to be absconding. We hope the police arrest him at the earliest.” A murder case has been registered against Parthiban and a search is on for him. “I have lost my father at a very young age. Now, the Karnataka police has taken away my mother, whose only fault was marrying my father,” Vidya Rani, elder daughter of Veerappan, wrote in a letter to the Prime Minister. “I admit that my father’s actions were illegal. But, it is unfair to punish my mother, who had not done anything illegal. She was the only consolation for me, after I lost my father. Now, she is unwell in the prison and I am longing to see her,” Vidya Rani, a college student, wrote. As she was all alone in the world, the Prime Minister should take action for release of her mother, Muthulakshmi, and allow her family to lead a peaceful life, she appealed. As many as four cases were filed against Veerappan’s wife Muthulakhmi under the TADA in Karnataka, when Veerappan was alive. The Karnataka police had arrested her last year and Muthulakshmi was not able to obtain bail, since she had been booked under the TADA. The forest brigand had killed many policemen belonging to Karnataka and he was involved in the kidnapping of Kannada matinee idol Raj Kumar. He had been killed in an encounter four years ago. Muthulakshmi is accused of sheltering her husband. Taking an exception to Karunanidhi’s statement that fishermen of the state were losing their lives at the hands of the Sri Lankan navy due to their own greed (for catching more fish), the AIADMK leader said it rose suspicions whether he would be a mute spectator to the sufferings of poor fishermen. She said he did the same when the Sri Lankan army massacred Tamil people in the island. She said Katchatheevu was a major fishing ground for many fishermen and its loss had affected their livelihood. In such a scenario, blaming the fishermen for crossing the maritime boundary added salt to injury. Jayalalithaa demanded an apology from Karunanidhi for his statement. Reacting to Karunanidhi’s statement that he was ready to pass a resolution in the Assembly for the retrieval of Katchatheevu, the AIADMK leader said a resolution had already been passed in the Assembly, when she was the Chief Minister. She asked why he did not conduct agitation or file a petition with the Supreme Court when Katchatheevu was acceded to Sri Lanka, just as the West Bengal government did when a part of its territory was given to East Pakistan in 1960. In that case, the Supreme Court had ruled that any part of Indian territory could not be given to another country, without the approval of both Houses of Parliament. Since Katchatheevu was given without approval in both Houses of Parliament, the action of the government was illegal and the AIADMK government had challenged this in the Supreme Court, she said. Countering Karunanidhi’s statement why Jayalalithaa did not retrieve the island when she was the Chief Minister, the AIADMK leader said the power to take such a step remained with the Union government. She said the DMK, being a part of the Central government, must now take solid steps to retrieve the island. Notwithstanding the heavy deployment of Army, paramilitary and police personnel, Manipur and hills of Assam continue to remain on the boil, thanks to marauding armed groups operating in those areas. Assam’s North Cachar Hill district, a 4,888 square km area with about two lakh population from various ethnic groups, has been the latest theatre of violence in Assam where armed Naga and Dima militants continue to attack villages inhabited by Dimasa and Zeme Naga tribes, defying presence of about 10,000 men in uniform. 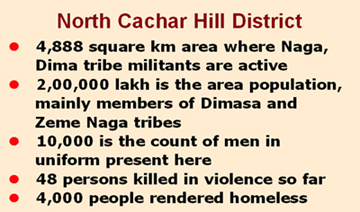 The attacks, so far, have claimed 48 lives, besides rendering over 4,000 people from both the communities homeless in the hill district, which is governed by North Cachar Hill Autonomous District Council (NCHADC) formed under the provision of Sixth Schedule of the Constitution. Also, 392 houses have been burnt in different villages since March 19. Moreover, marauding Dima tribe militants from Black Widow outfit have severely affected work on a railway gauge conversion projects, and the East-West Corridor stretch of the National Highway Authority of India (NHAI). The situation virtually remained unchanged even after the arrest of Black Widow “commander-in-chief” Jewel Garlosa. The Governor took over the charge after suspending the NCHADC following arrest of the CEM and in view of deteriorating law and order situation. And in Manipur, ultras have killed at least 35 migrant workers from Bihar and West Bengal since March this year. The tension has forced many migrant workers to leave out of fear though the state police claim that the situation had been brought under control. Insurgency-hit Manipur has one of the highest deployment of forces. Assam police’s intelligence chief and ADG KN Sharma, who has been involved in counter-insurgency apparatus for years, is of the view that militants in Assam and other parts of the North-East target people from mainland India to make their presence felt through negative publicity. Now in a shambles, the historic 1760-km road used to connect Eastern Assam coal township of Ledo with Kunming city in Yunan province of China through Myanmar. It was constructed in 1942-1944 by Allied Force engineers and personnel, braving hostile, rugged and high altitude terrain as part of the strategy to keep advancing Japanese forces away from China. The road is named after General Joseph Stilwell. A concerted effort to facilitate the reconstruction of the Stilwell Road has been virtually stonewalled by the military Junta in Myanmar because of the presence of an impregnable base of insurgents in the ungoverned Kachin province en route. The Junta, which has no control over the Kachin province, is apparently not willing to allow the reconstruction of the road through it. It was informed by Union Minister for the Development of the Northeastern Region (DoNER) and Mines Bijoy Krishna Handique. If rediscovered, the road in its new reincarnation would have opened a Trans nations trade route connecting northeast India to China through Myanmar. Handique said the campaign to rediscover the road had virtually came to naught, as “it is not possible for the Government of India to open a road through another country sans cooperation from that country. The thickly forested and hugely under developed Kachin terrain within Myanmar is where many militant outfits from the region, including the NSCN-K, NSCN-IM, ULFA, outfits from Manipur have pitched their bases. The territory is under control of these armed insurgent groups and has posed the major hurdle for the reopening of the historic road. Insurgents infested Hukong Valley in Myanmar beyond Patkai Range during the past 50 years and since the place has lost the strategic importance of the Second World War, today the road lies unattended, unused and remains nothing but a mystery. As per the scheme, two ladies (Sakhis), preferably Home Science graduates, trained in traditional babycare ways, will be appointed per hospital to train the expecting mother on fine points of traditional childcare system. “The time-tested traditional babycare by the grandmother is disappearing in the state due to invasion of modern lifestyle. So, we want to promote the age-old babycare methods through project Sakhi,” Assam health minister Dr Himanta Bishwa Sharma said. The scheme will later be extended to all 900 hospices in the state depending upon its acceptability. The other scheme, called “Mamta”, focuses on providing the newborn a babycare kit so that it could be protected from various infections. The scheme is exclusively meant for rural folks. “The first 48 hours of a baby is very crucial for its well-being. As per the Mamta scheme, the government will provide a babycare kit containing two towels, one blanket, one mosquito net, two wrappers as gift for every newborn, provided the baby is kept in the hospital for at least 48 hours after its birth,” Dr Sharma informed. Meanwhile, all Below Poverty Line families in the state will be brought under cashless health insurance scheme, jointly sponsored by the state and Central governments. The initial target is to insure five lakh BPL families from five districts - Kamrup, Jorhat, Nagaon, Barpeta and Lakhimpur. An official assessment of the operations carried out by the Army’s Maharashtra, Gujarat and Goa area headquarters candidly admits that its basic training and equipment does not give it the ability for anti-terrorist operations. Therefore, specialised units should be set up for the purpose. Such units should be capable of being deployed in any part of the country in short notice, the assessment report said. “Basic training and equipment does not equip the Army for anti-terrorist operations. Specialised units to deal with urban terrorists and capable of being deployed anywhere in India at short notice needs to be considered,” the excerpts from the report, accessed by PTI, recommended. The Maharashtra Chief Secretary had, within an hour-and-half of the terror attacks in Mumbai on November 26 last year, called up the General Officer Commanding (GOC) of the Army requesting assistance in the operations. The Army had deployed 13 columns comprising 21 officers, 43 junior commissioned officers and 729 jawans (nearly a battalion strength) from Mumbai, Pune and Nasik units and Bomb Disposal Squads in the three-day operation. A newly-elected Congress MP from Punjab said the channel, which was received through the Digi Cable network, had monopolised the telecast of news in connivance with the state government in blatant violation of the norms of the electronic media. The Congress leader, who did not wish to be identified, recalled that cable operators in the state had got together and sought assistance of Punjab Pradesh Congress Committee (PPCC) to take up their grievance with the government at the Centre. In the midst of the Lok Sabha election campaign, they had petitioned the then Information and Broadcasting Minister Anand Sharma on how the channel was distorting news coverage of political parties other than ruling dispensation in state. The attention of I & B Minister Ambika Soni had also been drawn towards the petition. Soni is understood to have told state Congress leaders, including Ravneet Singh Bittu, Manish Tewari and Vijay Inder Singla, that she was trying to locate the petition and then would examine the matter thoroughly. Soni herself had raised her voice in Parliament when she was Tourism Minister during the first-term of the Manmohan Singh government against the manner in which PTC was operating in the state. Another instance being pointed out by the Congressmen of the alleged biased coverage by PTC was the way it played up a quote made by Harsimrat Kaur, newly-elected MP from Bathinda and wife of Deputy Chief Minister Sukhbir Singh Badal, charging the Centre of discriminating against the state in her speech on the motion of thanks to the President for address to Parliament. The Rs 2,000 crore project will cover all 14,000 police stations spread across the country. The Union cabinet has approved it. The project is aimed at enhancing the efficiency and effectiveness of policing at the police station-level through e-governance, and creation of a nationwide networked infrastructure for an IT-enabled state-of-the-art tracking system for the investigation of crime and detection of criminals in real time, Home Minister P Chidambaram said here. The crime and criminal tracking network and system (CCTNS) project would be initiated by Home Ministry and implemented by National crime records bureau. The objective of the CCTNS is to streamline investigation and prosecution processes, strengthening of intelligence gathering machinery. It will also facilitate collection, storage, retrieval, analysis, transfer and sharing of data and information among police stations, district and state headquarters and other organisation and agencies, including those at the central government level. It will also help keep track of the progress of the crime and criminal investigation and prosecution of cases, including progress of cases in court. Sotheby’s annual sale of Indian art in London on June 16 achieved Rs 16.33 crore, much above the pre-sale expectations of £1.2 million (Rs 9.44 crore) while Christie’s South Asian Modern and Contemporary Art sale in London on June 10 saw a 1960 painting by M F Husain fetching a staggering Rs 3.1 crore. The Sotheby’s sale, which brought to the market a fine assortment of 86 lots by leading modern and contemporary Indian artists as well as rare and important Indian miniatures, saw an ink and pastel work by Jogen Chowdhury selling for a record Rs 2.95 crore. Chowdhury’s “Day Dreaming” graced cover of the sale catalogue and was greatly admired during its pre-sale exhibition and had an estimate of £80,000-120,000. The picture was purchased by a US private collector, establishing a new auction record for a work on paper by a post-Independence Indian artist. “Orange Head” by FN Souza saw strong competition from a number of buyers before selling to a US private collector for £403,250, more than three times the presale high estimate of £80,000-120,000. This price represents the highest price of the summer auction series of Indian Art at any auction house. An untitled painting by Manjit Bawa, which featured on the front cover of the first ever issue of Art India in 1996, sold to an Indian private collector for £85,250 while works by Husain were also highly sought-after with five of the seven paintings offered achieving prices in excess of their pre-sale high estimates at Sotheby’s.